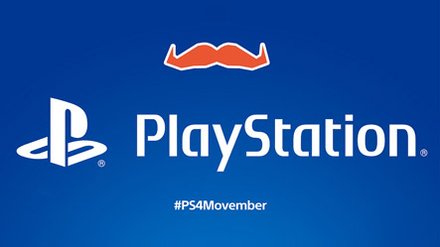 Sony Computer Entertainment Australia has announced PlayStation® as an official partner of Movember in a bid to help raise awareness and funds for prostate cancer, testicular cancer and mental health during the month of November. The annual Movember campaign encourages men around the world to grow moustaches for 30 days of November encouraging the surrounding community to donate to their efforts. PlayStation has developed a series of key initiatives including a significant prize offering to encourage male players (“Mo Bros”) worldwide to grow facial hair during the month of November and female players (“Mo Sistas”) to celebrate the moustache. Players will be invited to grow their own moustache alongside Galahad, star of upcoming PlayStation®4 release The Order: 1886. Galahad will personally regrow his famous moustache for the first time ever during Movember alongside fans who join his team on Movember.com. In addition to this, renowned illustrator Tom Mac has created a selection of limited edition illustrations showing some of the most loved PlayStation characters of all time participating in Movember. These include LittleBigPlanet’s Sackboy, Ellie (Mo Sista) from The Last of Us and Delsin from inFAMOUS. All of these will be revealed on PlayStation.Blog throughout Movember, with fans given the chance to win a limited edition print of each character. Rewarding those who have signed up to take part in Movember, anyone who manages to raise AUD$20 in donations will receive automatic entry into a prize draw to win a PS4, PS Vita and selection of games. For more information on what is happening throughout Movember, fans are invited to keep an eye on PlayStation.Blog by visiting blog.eu.playstation.com. You can also check out a specialist Movember playlist featuring some of the greatest Moustache clad musicians of all time on Music Unlimited. As part of the global official PlayStation Movember Network, Team PlayStation AU is recruiting now! Register at au.movember.com and search for “Team PlayStation AU” to join. Alternatively, if you already have a team, or want to create your own but still be part of the official PlayStation Movember network, when you’re logged in just search “PlayStation Official” in your Mospace and join. To learn more about Movember, visit au.movember.com.